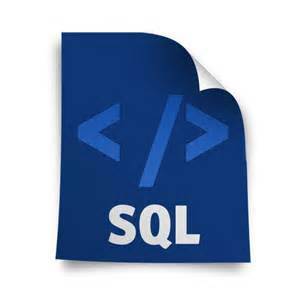 Home Sql Server C# How to insert a data table into SQL Server database table? C# How to insert a data table into SQL Server database table? In SQL 2008/2012/2014/2016/2017, user-defined table type is a user-defined type that describes the definition of a table structure. You can use a user-defined table type to declare table-valued parameters for SP or functions or to declare table variables that you require to utilization in a batch or the body of a Stored Procedure or function. To create a user-defined table type, use the CREATE TYPE declaration. To secure that the data in a user-defined table type matches particular requirements, you can create unique constraints and primary keys on the user-defined table type. // Here we create a DataTable with 2 columns. // Here we add five DataRows. Bulk import the data by using the bcp utility or the BULK INSERT statement. You cannot pass table-valued parameters to CLR user-defined functions. Table-valued parameters can only be indexed to support UNIQUE or PRIMARY KEY constraints. SQL Server does not maintain statistics on table-valued parameters. Table-valued parameters are read-only in Transact-SQL code. You cannot update the column values in the rows of a table-valued parameter, and you cannot insert or delete rows. To modify the data that is passed to a stored procedure or parameterized statement in table-valued parameter, you must insert the data into a temporary table or into a table variable. You cannot use ALTER TABLE statements to modify the design of table-valued parameters.